Did you know that once you became a UX designer, you were joining a religion? You didn’t? Well, it is. One of your jobs at almost at every stage of your career is to make others adopt your truth. Just like any good clergy, you want others to be force multipliers for UX. Let’s dive into a few useful tactics for spreading the good word. As I explained in The Guide to UX Leadership, an evangelist is only as good as the stretch of their voice. You can’t be everywhere. If you’re trying to scale across increasingly larger organizations as your career grows, you must build a group of disciples to shepherd their own flocks. The first step is, obviously, about getting your own flock. Of course you can hire for that. But you need two things: purpose and cash. You probably have an abundance of the first and almost none of the second. Here are the steps as I’ve experienced them. Anyone influential must understand your purpose as clearly as you do. Most of this messaging occurs in the meetings and 1:1 conversations I have, but it’s also like any political stump speech. Focus on the keywords and use them whenever you can. If you read the above the keywords are helping, value, strategy. And then the ending emphasizes tangible ROI. Vision is the story of your desired outcomes. What will the organization look like if it achieved your goals? How will customers’ lives be impacted? Your story must be dramatic, emotional, engaging. It needs to draw people in. People need to make the story their own while still retaining the core message. The story should push boundaries, but not offend sensibilities. When trying to build a strategic practice at Rackspace, we needed to gain support. We literally created a video prototype in Keynote of a new story that remained true to company values and it’s value proposition, was based on feasible design, and showed how the strategy would improve the lives of employees and users. You can also try a more bite-sized approach. Segment your product into smaller units. Take a very small unit (e.g. a feature) and create a new vision for impact on the organization and customers. Shop it around as support is gained, validate it internally, and maybe even, covertly, externally. Keep a record of your successes—and then slowly expand on your successes until you reach the decision makers or the people who influence decision-makers. This is where “leader as doer” is so important. Assess where your company lies along the 8 stages of UX maturity so that you can start building buy-in with the most influential groups. A startup is clearly motivated by how “the possible” drives revenue growth. A large enterprise is concerned more with optimization and extension. For example, when I was in a management role over a decade ago at a startup, the executive team was eager to grow towards IPO or acquisition. One of their big liabilities was a system burdened with legacy and tech debt. The company was motivated to refactor the technology stack and better differentiate their core experience. Given their rapid timeline, they were most responsive to ideas that were immediately feasible. This motivation led me to a two-pronged set of realistic tactics. On one side, I worked closely with the CTO and his engineering team to talk about how best we could work together. 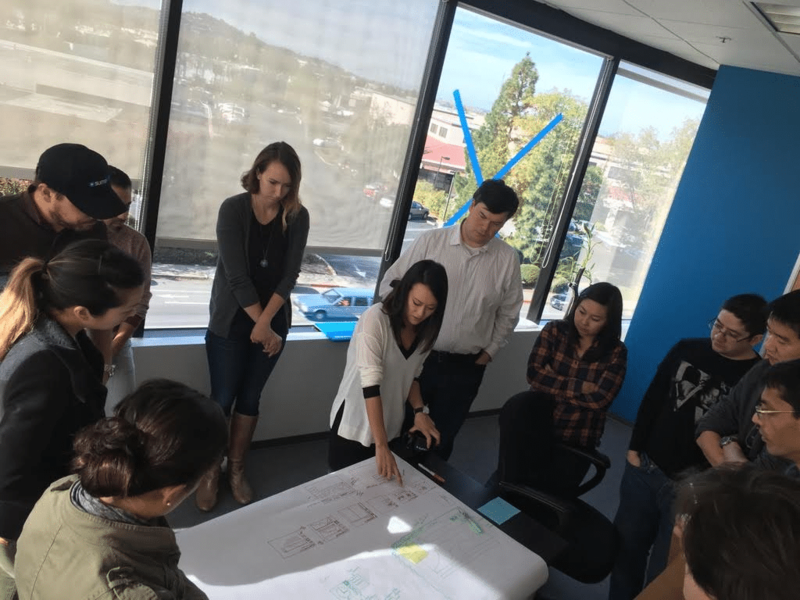 We drafted an agile plan for execution to first show that our UX strategy was immediately actionable. On the other side, a new sales team was eager to ensure the value proposition was right for the new market. I explained how the UX strategy would help differentiate the product, and they helped clarify how certain customer segments might respond. In this way, I earned buy-in from the two most influential sides in this context: Production (the builders) and Sales (the earners). Since both sides were historically allied with executive partners, I received budget much more quickly when presenting the strategy as a unified plan. Speaking of empathy, we designers spend so much time on users that we sometimes forget it takes a village to realize a design. 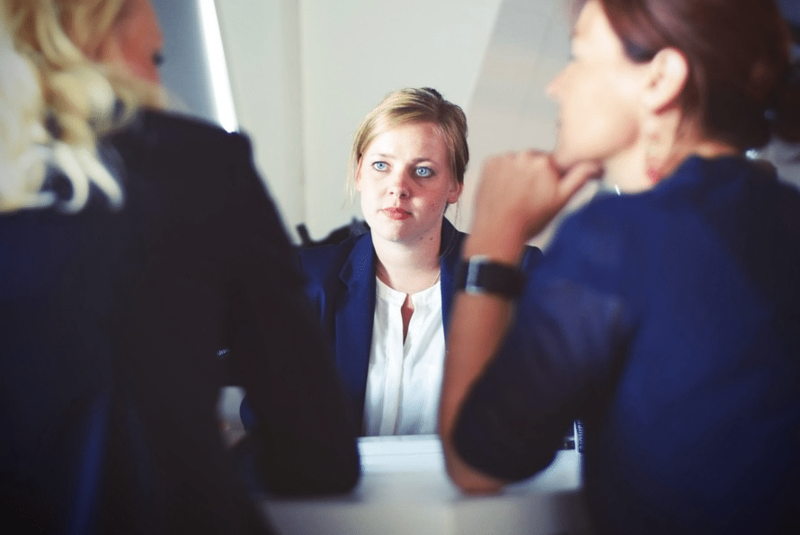 Can you as just easily put yourself in your collaborators’ shoes? Demonstrate that you have your stakeholder’s back. Actively observe them. Internalize the criteria managers use to evaluate them. When designing for a future outcome, account for their needs. For example, in the larger vision work I did for Rackspace, we ensured that one of the primary characters in our video prototype was always a Rackspace employee (in this case, a support operative). We imbued in that character the primary values of the organization, as well as showed that they win when the customer wins. As an evangelist, you’re only as powerful as the number of leaders you harness around you. This means you move from voice, to coach, from front of the stage to the side of the stage. Create and use platforms that allow your disciples to make their own name and create their unique voice. Create opportunities like lunch and learns and customer councils where your disciples preach the good sermon for all to soak in. Call out the success of those around you. Don’t always focus on your own voice. When you get a quick win, explain the the specific outcomes (e.g. reduced customer support tickets by 30%). Explain who helped execute each tactic, especially if they’re outside the immediate design team. Give credit away. They will pay you back many times over. Start mentoring people. When you can’t mentor, educate. Give designers your lessons not just in the topic of specialization, but in how to grow as a UX evangelist. Teach them the lessons you’ve hard won. Don’t make them start from scratch. When working with non-designers, be generous with your knowledge and time. Present case studies from related industries (not just the usual suspects like Uber or Google). 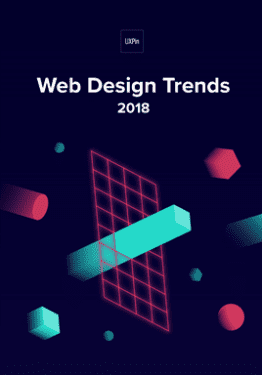 For example, when MS Office 2007 was ramping up, I followed the blog of the UX team intensely to share with others the lessons of a company striving to be more design-focused. Share design insights from business publications. It’s much more convincing to share material from Fast Company, Gartner, and Harvard Business Review than from only UX publications. Whether you’re dropped into leading 5 people or starting from scratch, your ability to build a following and create disciples directly impacts your success. Based on what you know about yourself and your environment, create a plan where your voice is most effective. Then shift your plans to make others more effective. The skills needed here are empathy, communications, strategy, and a strong sense of self. 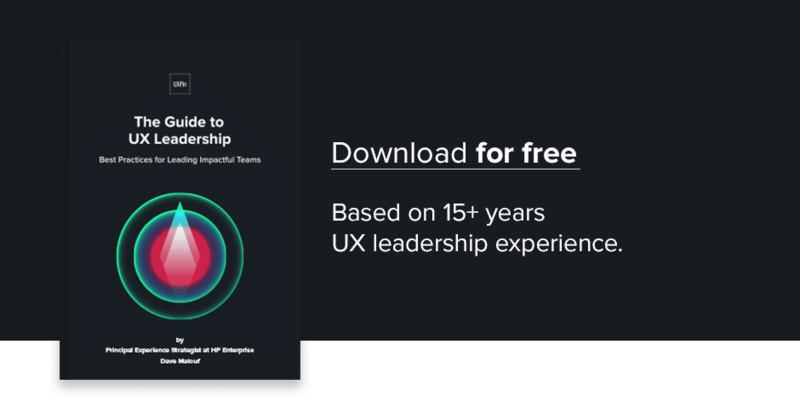 For more advice based on 20+ years of UX experience, download the free Guide to UX Leadership by Dave Malouf. Dave was mostly recently the Principal Experience Strategist at Hewlett Packard Enterprise where he helps create a viable insights and strategy practice based on empathy and data analytics. He has worked in front-end design for the past 20 years. In his previous role at Rackspace, Dave lead the interaction design team as a Sr. Manager of Product Design. His other roles have included senior UX positions and leadership roles at Motorola and Intralinks. Dave is also an active speaker and writer. His work has been published at BoxesAndArrows.com, Core77.com, UXMatters.com, UIGarden.net and JohnnyHolland.com as well as in print for Interactions Magazine. He has spoken at IDSA, Interaction, IA Summit, UI Conf, and have taught workshops for private corporations and local UX organizations around the world. 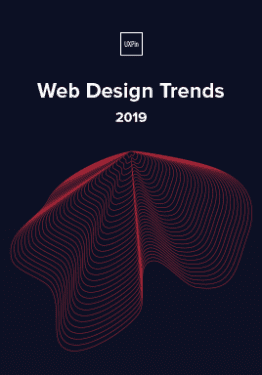 He is also the Founder of the Interaction Design Association (IxDA), program co-chair of Rosenfeld Media's Enterprise UX conference, and a former Professor of Interaction Design at Savannah College of Art & Design (SCAD).